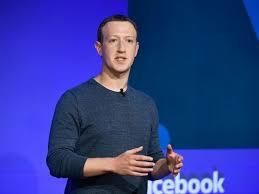 Facebook has now detailed what data was scraped and stolen in the breach it revealed two weeks ago. 30 million users, not 50 million as it initially estimated, had their access tokens stolen by hackers. Users can check Facebook’s Help Center to find out if their information was accessed, and Facebook will send customized alerts to those impacted detailing what was accessed from their account and what they can do to recover. It’s currently not clear if all the information accessed was necessarily scraped. Unlike most breaches, this one appears to have turned out to be less severe then initially expected. Users seem to already be forgetting about the breach after a short hiccup where they had to log back in to Facebook. It’s possible that that could impact Facebook’s user counts slightly in its Q3 earnings report. But unless a truly nefarious use case for the accessed data is revealed, the breach could fade into the noise of non-stop cybersecurity failures across the web, including Google+’s breach that was covered up and has now prompted the Facebook competitor’s shut down.